Eintracht Frankfurt have relieved head coach Armin Veh of his duties after a 1-1 draw to Ingolstadt on Saturday, a result which left the Eagles third from the bottom of the Bundesliga. "This separation was a very difficult decision because Armin Veh has enjoyed our faith until recently," said Frankfurt's chairman Heribert Bruchhagen on his club's website. "However, we want this change in coach to give the team an important boost, so that we will stay up. 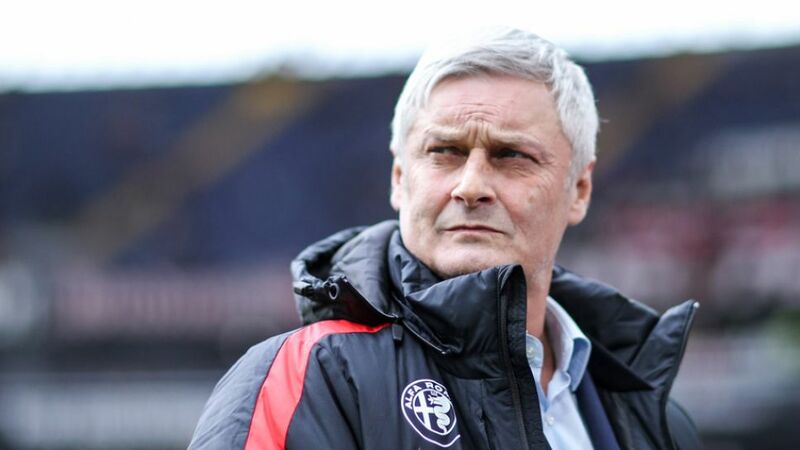 Eintracht Frankfurt thank Armin Veh for his work." Veh's assistant Reiner Geyer has been placed in charge of first-team matters until a new coach is appointed. That should happen imminently, with the board of directors to meet and discuss candidates. Frankfurt snatched a draw against Ingolstadt on Matchday 25 when Marco Fabian's cross was headed in by Marco Russ. However, just one point from that fixture has left Frankfurt a point away from safety with nine games of the season remaining.